A-HOTEL.com - Luksus og billig hoteller i Arrieta, Spania. Overnatting booking i Arrieta og omkringliggende. Dette indikerer tilbudet ble hentet fra den sist booket overnatting i Arrieta, og er sortert fra laveste pris. Slik velger overnatting etter dine preferanser vi anbefaler å velge mellom til sammen 29 tilbud om overnatting i Arrieta. Ved å taste inn datoene for ditt opphold i Arrieta, og ved hjelp av filter verktøy kan du sortere best mulig overnatting for deg. De oppgitte datoer for oppholdet er avgjørende for den mest nøyaktige tilbudet som det stammer all elektronisk informasjon om priser og tilgjengelighet på Arrieta overnatting. Deretter kan du bestille den valgte Arrieta overnattingen (hoteller, pensjonater osv) umiddelbart. El Lago del Mar har gratis Wi-Fi, og tilbyr overnatting i Arrieta, en liten by nord på Lanzarote. Alle leilighetene har egen terrasse med utemøbler og sjøutsikt. Villa Lagomar is located in Arrieta and offers an outdoor swimming pool. This villa features free WiFi, barbecue facilities, as well as a garden. Set in Arrieta, 37 km from Puerto del Carmen, Calma Suites La Garita provides a terrace and free WiFi. All units comprise a seating area, and a fully equipped kitchen with various cooking facilities, including a toaster, a fridge and a stovetop. Los Morros features accommodation with a terrace and free WiFi. A fridge and kettle are also available. Situated in Arrieta, Apartamentos El Lago provides accommodation with free WiFi, a seating area, a flat-screen TV and a kitchen. A terrace with sea views is offered in each unit. Set in Arrieta, Residencial Vistamar Arrieta offers accommodation with a terrace or a balcony, free WiFi and flat-screen TV, as well as a garden. Opening to a patio with sea views, all units are fitted with a kitchen with a microwave. Offering free WiFi and sea views, Casa Lolina is an accommodation located in Arrieta. Guests staying at this apartment have access to a fully equipped kitchen and a terrace. Featuring accommodation with a terrace, punta marea is located in Arrieta. This property offers access to free WiFi. 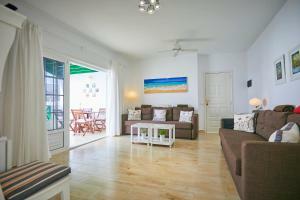 Situated in Arrieta in the Lanzarote region, Casa Varadero Arrieta has a terrace. Free WiFi is available. Set in Arrieta in the Lanzarote region, Casita Verde features a terrace. This property offers access to a patio and free WiFi. Featuring free WiFi, Casa Anclada is located in Arrieta, Lanzarote. Set a 2-minute walk from the beach, this property offers apartments with a private balcony or terrace, and a shared garden. Featuring accommodation with a balcony, Casa Gaviota is set in Arrieta. This holiday home features accommodation with free WiFi. Lanzarote Ocean View II offers accommodation in Arrieta, 200 metres from the beach. The unit is 30 km from Puerto del Carmen. Providing free WiFi, Casa Pura is situated on the beachfront in Arrieta. This property offers access to a terrace. Casa Pura offers accommodation in Arrieta. Puerto del Carmen is 31 km from the property. Punta mujeres casitas del mar is located in Arrieta and offers a terrace. This apartment also features free WiFi. Set in Arrieta, Casa en el Muelle features accommodation with a terrace and free WiFi. With mountain views, this accommodation provides a balcony. Eco Fisherman's Seafront Cottage offers accommodation in Arrieta, just 300 metres from La Garita beach. It features views of the sea and is 47 km from Playa Blanca. Arrieta Apartment Sleeps 4 WiFi T691494 is situated in Arrieta. This apartment also features free WiFi.